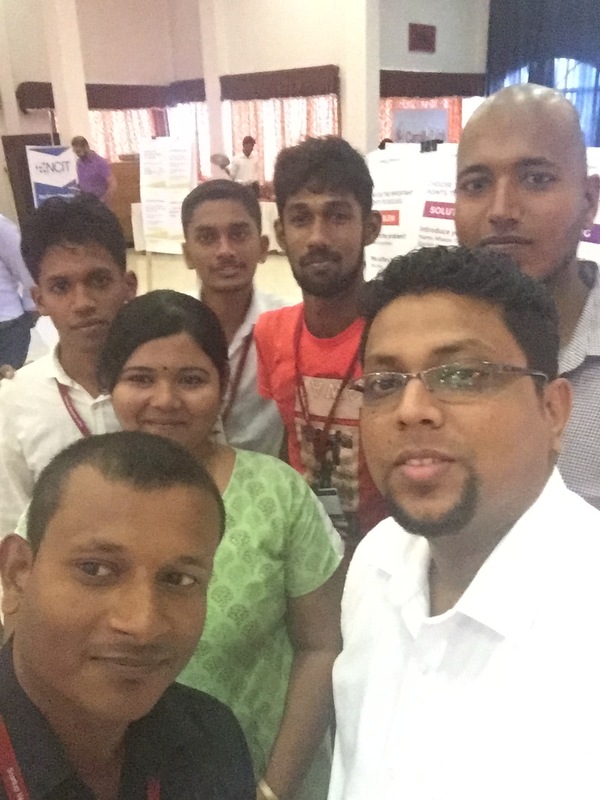 I have to write about an interesting and much-needed event in Sri Lanka that is taking place right now in Jaffna! I am here witnessing the igniting ideas of visionary young entrepreneurs from North and East of our country. I am pleased to see the enthusiasm among not only the youngsters but also among the judges, facilitators, mentors and organizers. 13 groups of over 70 budding entrepreneurs are pitching their ideas and concepts to mentors and judgers right now. Most the ventures are IT based initiatives. It’s truly inspiring to see the amount of innovation that Sri Lanka can take into the global arena. Unlike other industries tech ventures though being start-ups have the potential of reaching the global market very easily. IT and software is one of the industries that is highly influenced and boosted by the benefits of globalization. You can be from any part of the country possessing any level of academic qualification. If your idea is creative, unique and ground-breaking, the windows to the global tech market will be easily opened to you. 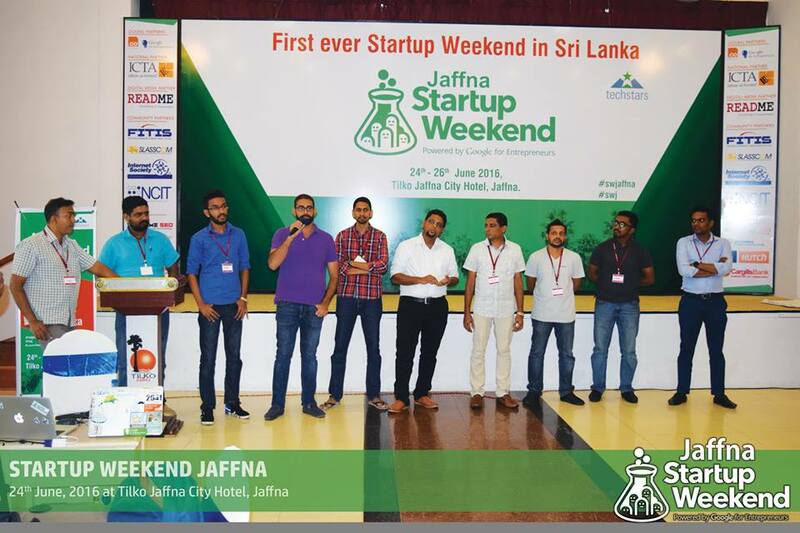 Startup Weekend is a global phenomenon – 54 hours of fast and furious prototype development through to exploring potential markets and pitching. It’s an unparalleled opportunity to build lasting relationships with co-founders; mentors, and investors. The real value comes from taking an idea from concept through to execution using Lean tactics and working under high pressure with the best startups. At the event, the youngsters have to discuss about their ideas, dreams and problems with the Mentors in order to polish the pitch they are going to present. Later they will be pitching the ideas to the audience including the judgers. At this event more than the phenomenon of winning, the motivation and inspiration is given more prominence which is very healthy in terms of Entrepreneurship. Here the young entrepreneurs’ way of thinking and doing things will get sharpened-up by the industry experts who have already initiated their own ventures and successfully achieving their goals. This is the best part that would like to appreciate. As an Entrepreneur I know that more than winning, living your dreams is important. Winning is subjective and it may vary from person to person. But reaching yours goals and being satisfied about what you are doing is important. That is what I feel as “success” for an Entrepreneur. The event was powered by Google for Entrepreneurs and facilitated by Anurag Maloo, Regional Manager (South & Central Asia),Techstars, an organization that promotes tech entrepreneurship and budding entrepreneurs globally. 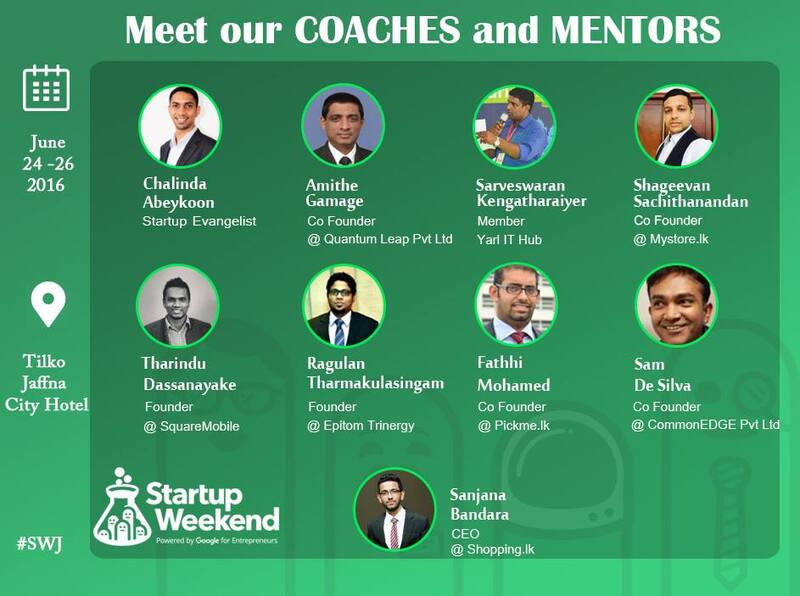 At this point I would like to thank the organizers for inviting me as one of the mentors and I am truly humbled to mentor these budding entrepreneurs. This pool of enthusiasts have done a great job! 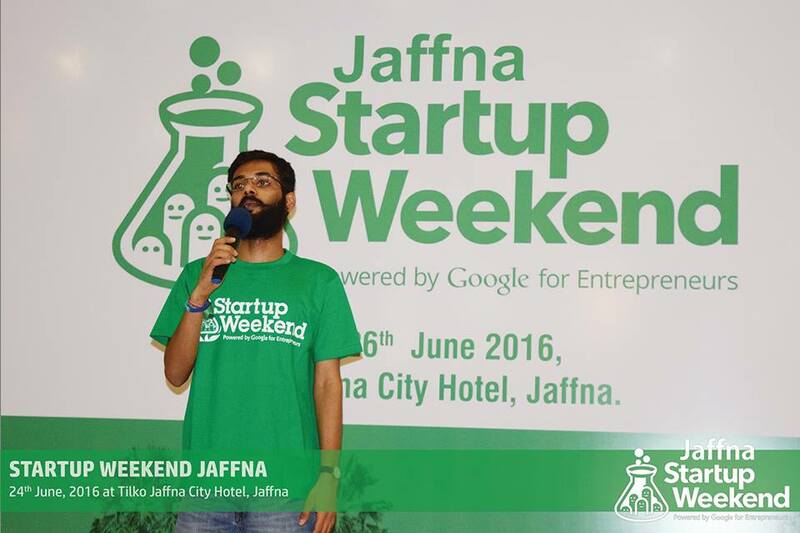 Thavaruban Thangarajah, Founder & CEO of Speed IT net. Robinson Prashanthan, Founder & CEO of innovay.